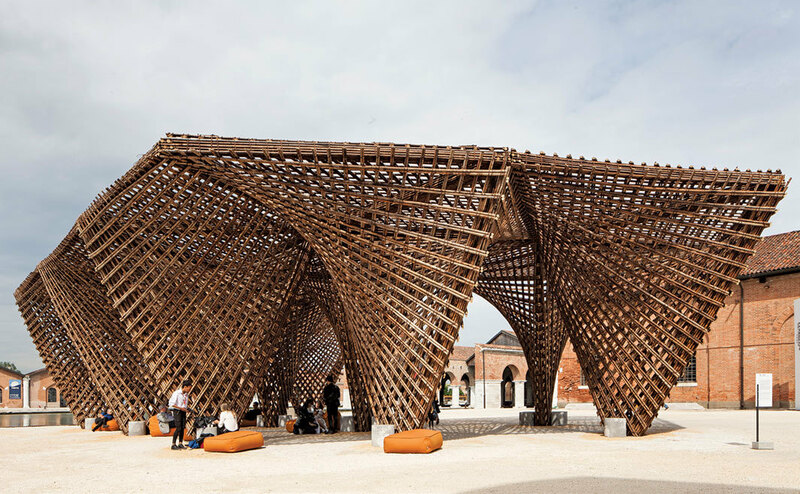 Vo Trong Nghia Architects, Bamboo Stalactite, 2018, bamboo. Installation view, grounds of the Arsenale, Venice. Photo: Francesco Galli.